Festival of The Dead has resurfaced with a new hoard of characters and creations. From our 15ft tall vulture roaming the crowd to giant skulls and skeletons, wondrous circus acts and carnival processions. This is a party like no other. *please note this show always sells out in advance so make sure to buy early to avoid disappointment. Carnival pageantry, giant skull processions, acrobats, dancers and beautiful decorative art & costumes. 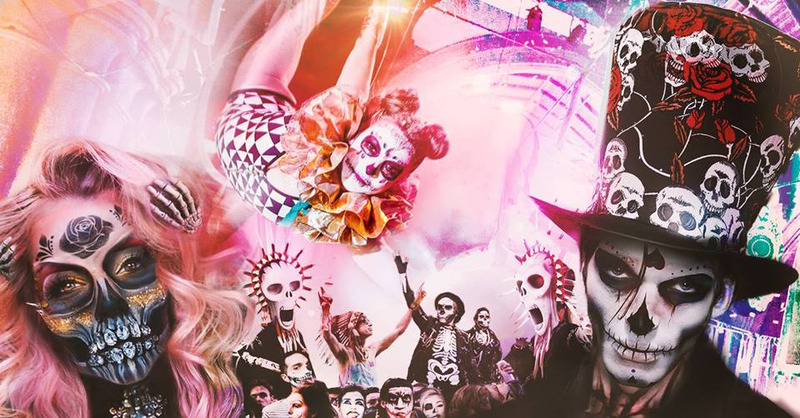 Festival of the Dead is a contemporary event infusing elements carnival, circus, theatre and unadulterated partying. Please note: this event is not part of the Dia de los Muertos public holiday, which has significant religious meaning and many traditions that will not be happening at our show.